Wills provide you with the greatest control over distribution of your property after death. Under Utah law, if no valid will is present, your estate will pass according to a set of inflexible rules, placing priority on those closely related to you. If no surviving relatives can be located, your property becomes the property of the state. 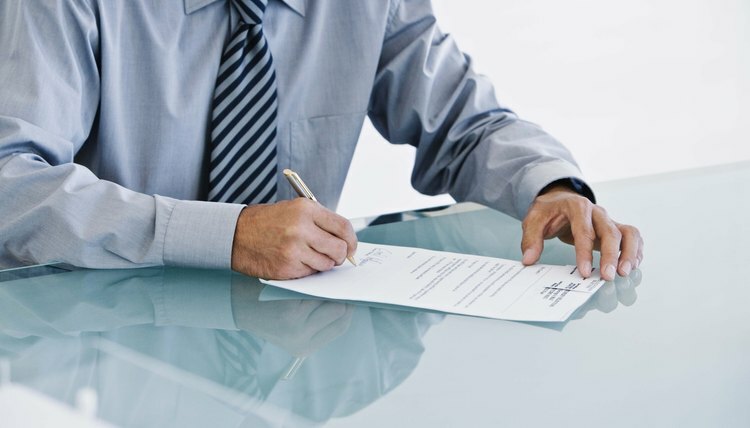 Adult residents of Utah may make a will disposing of their estate after death. The freedom to control where your property goes is subject to certain limitations if you are married or have children. Your spouse is entitled to one third of the estate as well as a $15,000 homestead allowance and $10,000 in furniture, furnishings and personal effects. If you have no surviving spouse, but have surviving children, they will be entitled to these benefits. The remainder of your property will pass according to your will, or according to the state's laws of intestate succession if no valid will is present. If you die without a valid will in Utah, the law directs that your estate be distributed to your relatives without regard to the quality of your relationships. If you leave a surviving spouse, but no children, or the children are also the children of your spouse, your spouse will be awarded the entire estate. If you leave a surviving spouse and children not of the surviving spouse, the spouse is entitled to $75,000 plus one-half of the estate. If you leave no surviving spouse, your surviving children will share equally in all of the estate in Utah. Likewise, if the children are not of the surviving spouse, they will share equally in one-half of the estate, minus the additional $75,000 award to the spouse. However, if some of your children are deceased but have living children, these grandchildren share equally in their parents' share. For example, assume you have five children, each with three children of his own. If only four of your children survive you, each of the surviving children is entitled to one-fifth of the estate. The remaining one-fifth is then split equally among the children of your deceased child. In Utah, if you leave no spouse and no descendants, your estate will pass to your parents. If you left no parents, your property will pass to any of your surviving siblings. If you have no surviving siblings, one-half of the estate will pass to your maternal grandparents or their descendants, and the other half will pass to your paternal grandparents or their descendants. If no living relatives can be found, the property escheats to the state to be placed in an education fund. A will is your opportunity to leave final instructions for your loved ones, and it can address issues like guardianship for your minor children as well as who should manage your assets after your death. Wills also provide directions regarding how your property should be distributed. If you die without a will, you lose the opportunity to tell your loved ones how to distribute your assets, so your estate will be distributed according to Washington law instead.